Metal Bullet Game: We're cleaning everybody! For the sake of saving the world, even a head in the mouth of a crocodile! Metal Bullet game is a shooter with all the ensuing consequences. You will have to shoot a lot, but at the same time you will visit the most incredible places in order to clear out the evolving evil. 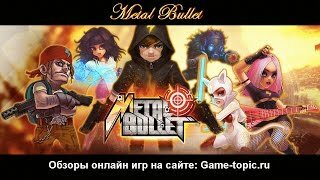 When you start to play Metal Bullet, you will understand that the toy is made in the classic genre of old products, when the characters did not have special plasticity, moved to the sides and straight, and the player watched the events from above. Such a return to antiquity is compensated by the original storyline and gameplay capabilities. 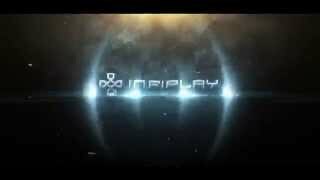 Metal Bullet registration, this is the recruitment of players in agents of special purpose. The organization "Anti-evil", which is hidden high above the clouds, is engaged in this, and the most powerful propellers with wide blades keep it in a state of levitation. She brings up high-ranking specialists to send to remote corners of the world to perform the most dangerous tasks. Let you be afraid of boxers-pitching, terrible crocodiles and Egyptian deity Anubis armed with a laser. In each location you will find four stages with the final boss. Only after completing one mission, you will move on to a new one, and their complexity may be different: to beat off waves of aggressors or save a hostage. Pay attention to the last item. Tonus is spent by the hero every time he performs actions. The time will come, and this figure will drop to zero, but it can be replenished naturally by waiting for independent growth. Or use the premium currency - diamonds, and quickly return everything as it was. For each job you need a certain set of weapons and other items. Your backpack was originally designed for 20 compartments, where in each something useful. Throwing objects is impractical because they have cost you something for money, something in battle. But the moment will come, and will have to expand the space to accommodate the new items. After the battle, the time of revelations comes - scoring, and on these results you get 1.2 or 3 stars. If you want really strong emotions and look for dangerous battles, take part in a duel between two teams with 3x3 players. To win, skillfully fill combo, use weapons and use cover.